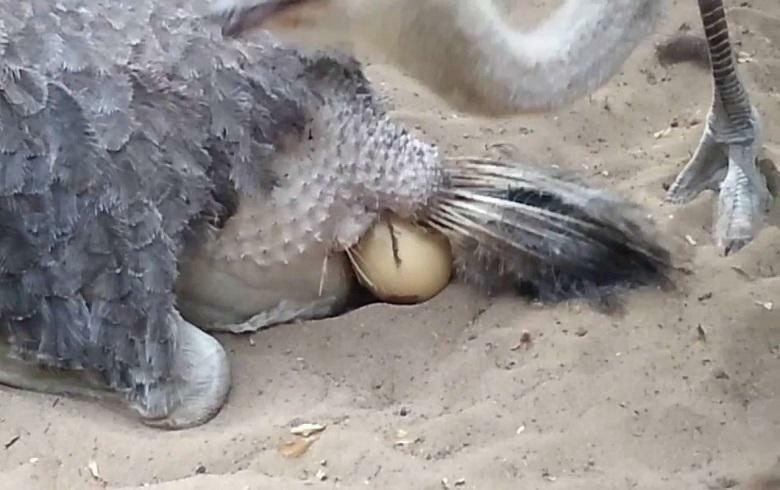 A Nigerian man, identified as Cyprian has compared giving birth by women with laying an egg by fowls. The duo advises the women to stop making “unnecessary noise for labor room”. 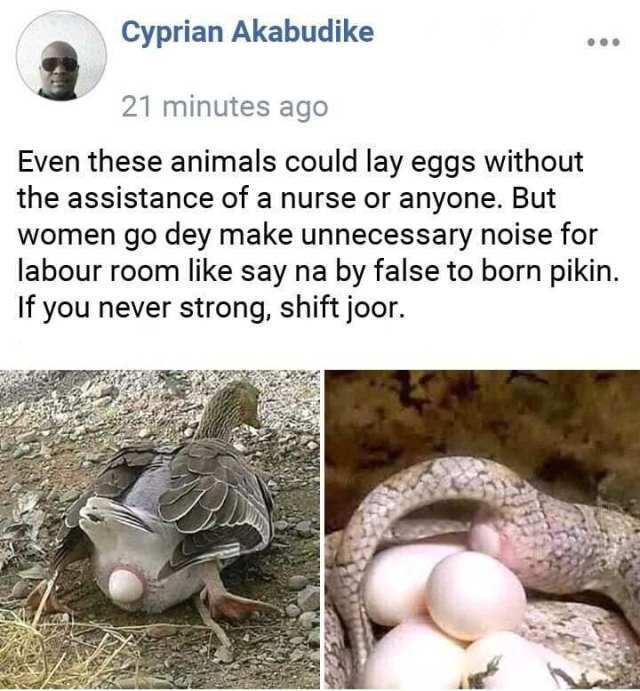 Cyprian Akabudike, a Facebook user, is currently on social networks after verbal “attack” on women for making sound during childbirth. According to Akabudike, the “noise” is useless when compared to other animals that seek no assistance during reproduction. The man noticed that because of the snake, the goat, and other animals could give birth at free-will.